"Industrial melanism" – the prevalence of darker varieties of animals in polluted areas – and the peppered moth provided a crucial early example supporting Darwin's theory of evolution by natural selection, and has been a battleground between evolutionary biologists and creationists for decades. "This is one of the most iconic examples of evolution, used in biology textbooks around the world, yet fiercely attacked by creationists seeking to discredit evolution," said Professor Martin Stevens, of the Centre for Ecology and Conservation on the University of Exeter's Penryn Campus in Cornwall. "Remarkably, no previous study has quantified the camouflage of peppered moths, or related this to survival against predators in controlled experiments. "Using digital image analysis to simulate bird vision and field experiments in British woodland, we compared how easily birds can see pale and darker moths, and ultimately determine their predation risk. "Our findings confirm the conventional story put forward by early evolutionary biologists – that changes in the frequency of dark and pale peppered moths were driven by changes in pollution and camouflage." 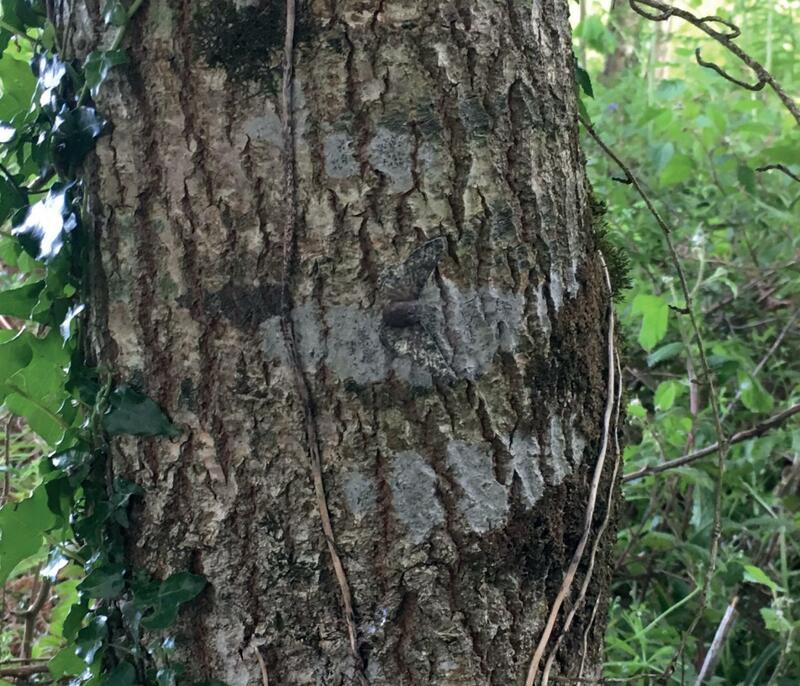 "Through a bird's eyes, the pale peppered moths more closely match lichen-covered bark, whereas darker individuals more closely match plain bark," said first author Olivia Walton, who conducted the research as part of her master's degree at Exeter. "Crucially, this translates into a strong survival advantage; the lighter moths are much less likely to be seen by wild birds when on lichen-covered backgrounds, in comparison to dark moths." In the experiment using artificial moths, lighter models had a 21% higher chance of "surviving" (not being eaten by birds). "We provide strong direct evidence that the frequency of the peppered moth forms stems from differences in camouflage and avian predation, providing key support for this iconic example of natural selection," Professor Stevens said. The paper, published in the journal Communications Biology, is entitled: "Avian vision models and field experiments determine the survival value of peppered moth camouflage."